I blogged a couple of years ago about the immense detail involved in planning a ground trip. We spent a month visiting the national parks out west, and had dozens of pages of planning information: hotel reservations, flights, car rental, sites and locations to see in the parks and elsewhere, backup driving directions in case our GPS failed, etc. The other extreme is generally perceived to be a cruise. It’s generally thought that once you get to the ship you generally don’t have to decide anything more important than which flavor martini you want before dinner. I’m here to tell you that it ain’t so, Joe. When we go on a cruise, the planning starts as soon as the cruise line opens up the specialty restaurants for reservations. You see, today’s cruises are all inclusive, except for all the stuff that isn’t actually included. One of those are the specialty restaurants on board. Rather than eat in the stuffy old dining room with pretty much unlimited portions of everything on the menu, you are enticed by smaller, more intimate restaurants that (a) require reservations and (b) often have a surcharge. The ship we will be on – the Silver Muse – sports a total of eight restaurants, ranging from Italian to Southeast Asian to seafood to tapas to … well, you get the idea. And once you have a system where advance reservations are available, and there is a start date when you can make those reservations, it’s starts to look like the next Lady Gaga concert: ticket sales open at 10:00 am Monday, and they are sold out by 10:05. Well, that might be a slight exageration, but you get the idea. So you need to decide which restaurants you want to eat in, and which nights. Simple you say? Just go down the list and choose Restaurant 1 on Day 1, Restaurant 2 on Day 2, etc.? Not so simple. First, you need to map the restaurants against the ports. For instance, our cruise variously leaves ports at 5:00pm, 6:00pm, 7:00pm and 10:00pm. If you’re touring that day, you need to find out what time you get back on board (a port where the ship departs at 7:00 will have tours that get you back before that, but not as early as those when the ship departs at 5:00). So why not just always choose a later time? Well, then you run into the showtimes in the lounge. If you eat at the wrong time, you might be eating dinner when the show(s) are on. And then, some nights are “formal” in the main dining room. Do you want to ensure you’re there for those formal nights, or do you want to ensure you avoid being there? All of this gets complicated when you’re traveling with another couple, as we are. You need to discuss and debate all of these choices, and make sure everyone is happy with the decisions. And then hope you can actually get reservations when and where you want them. The second major planning activity revolves around shore touring and sightseeing. For many people on cruises, they simply look at the list of excursions offered by the ship and choose one. No muss, no fuss, not too much brain strain. But lots of money. Example: on our last cruise, the stop at Livorno offered a “tour” to Florence which consisted pretty much of a bus ride from the dock to the bus station in Florence, and the corresponding return trip. The trip was advertised as about 1 1/2 hours each way, and you would have about 6 hours on your own to explore Florence. The price? $100 per person. Tours that actually do something other than provide transportation were even more expensive. In this case, we elected to rent a car for the four of us for the two days the ship was docked at Livorno, at a cost of less than $200. We paid another $15 or $20 for parking in Florence, and spent the second day driving to a few smaller towns and villages in Tuscany, including Siena. We followed this self-tour plan at all of the stops, not taking any of the excursions offered by the ship. So our instinct is to self-tour at most of the stops this time as well. We have four stops in “big” cities: Rome(1), Florence(1), Marseilles, Barcelona. We have 8 stops in smaller places: Monte Carlo, Palma de Mallorca, Trapai, Valletta, Taormina, Amalfi, Sorrento, and Nice. We need a plan for each one. Once we have a plan for each one, we can get the dinner reservations squared away. See how I got back to that? (1) There’s a bit of bait and switch here as well. As I mentioned, Florence is quite far away from where we actually dock, and Rome is actually even further. And while the heart of Florence is small enough that you can wander around for six hours and accomplish something, in Rome you need to pick a sight or three that you really want to see and get to them somehow. In both cases, our ship is in port for about 11 hours. I’ve blogged in the past about some trips that I’ve taken with my lovely wife. This year, we’re planning two major and at least a couple of minor trips. The major trips are another Mediterrainian cruise, and a safari in Africa. We also have an out of town wedding, and we’ll be in Vermont some times. 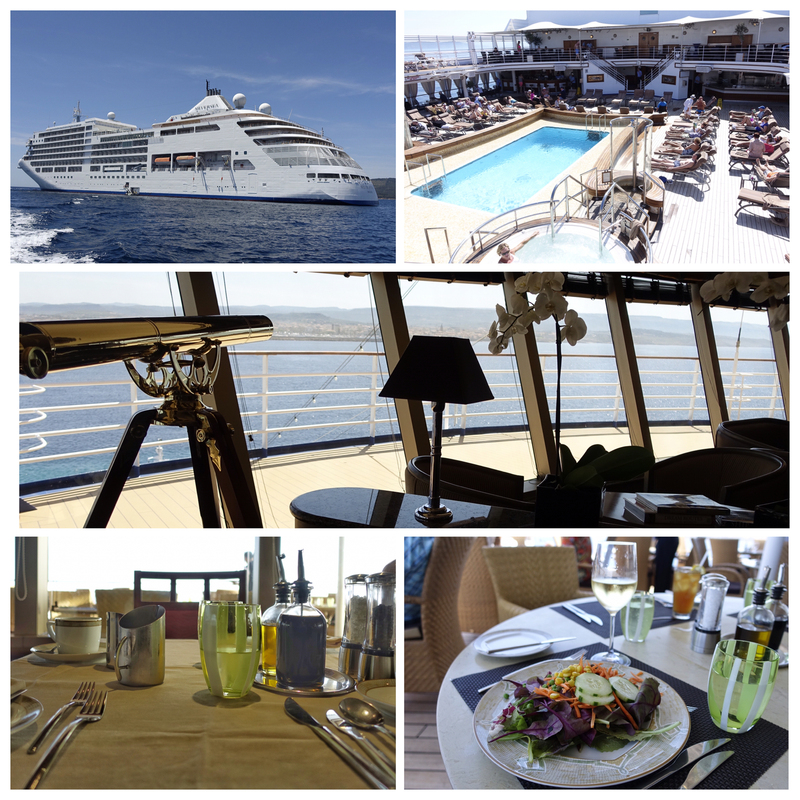 The Mediterranean cruise is similar to the one I blogged about in 2015 (https://bassman-crusin.blogspot.com/). Last time we traveled with our good friends Rob & Laura. This time we’ll be traveling with Zelda & Matteo (don’t ask). The trip is not for a while yet, so I still have adequate time to obsess over planning and packing, and planning for packing. Actually, I don’t expect any drama with the packing for this trip – I’ll pretty much just drag out the packing list from the last one, update it for new sneakers, etc., and be done. The safari is a whole new ball of wax. If you’ve never gone on a safari, or talked to someone who has gone on a safari, you may not be aware that there are a few very strict requirements. The first is that all of your luggage must weigh 44 lbs. or less. This includes your checked bag (singular) and any carry-on stuff you may bring. Related to this, the checked bag apparently must be a soft-sided duffel-type bag with no wheels. There are other guidelines around what you should or shouldn’t bring as well. I’ll probably devote a few posts to this issue in the future, as this trip isn’t until much later. So I have plenty of time to obsess (full disclosure: I started obsessing a couple of months ago when we agreed to make this trip). I’ll talk a bit about our cruise planning in an upcoming post.